Receive my personal book reviews, book giveaway contests, and more… all monthly. Love books like I do? Thanks! Look for a confirmation email. When you join, you’ll receive my personal book reviews, book giveaway contests, and more… all monthly. The SPI Book Club is a community of passionate readers seeking stories that will stick in their brains and inspire their lives long after they’ve read them. Sound like a place for you? Subscribe to the SPI Book Club for free and enjoy a featured book recommendation each month, possibly with some exclusive deals to boot! From business and career-focused reads to science fiction adventures and thrilling fictional tales, the books I recommend are varied in their applicability and value. Plus, enjoy book giveaways, special discounts, and first access to my own personal book projects! If you are trying to build a successful brand, no matter where your platform is or what your product or service is, you should read Primal Branding. We’ve been so heads-down busy over here, we slipped right past our March book! And now it’s spring! A time for growth and looking forward at what can be for our lives, our families, our businesses. Are you ready? Tim Schmoyer, who will be a guest on SPI 367 on April 24, recommended this book to me after a private conversation we had about my YouTube channel. He says he recommends it to all of his clients, so of course I had to read it, too. And let me tell you, it was so worth it. I really enjoy Primal Branding’s exploration of why some brands work and thrive, while others don’t. One business could have a very similar product as another business, but it’s in the way each business brands their product that can make a world of difference, giving one business an edge over the other. Patrick Hanlon delves into human nature to describe why brands outperform others, such as the human need to belong to something, our love for creation stories (e.g., Steve Jobs creating the origins of Apple in his garage), and our fascination with memorable icons (e.g., logo, or even a jingle) like the intro to the Smart Passive Income Podcast (“work hard now, so you can reap the benefits later”). Rituals play an important role, too—something that you have your audience or customers do every single time that becomes a part of your brand. One other branding strategy in the book that was particularly helpful to read about was the idea of creed. In other words, what you believe in. If you and your brand believe in something, you can bring people along with you. This is your moral compass, staking your claim in something you believe in. When you try to please everyone, you actually please no one, so it’s important to take a stand and actually put your foot down and declare not just why you do what you do, but really what you believe in. For example, I believe that anyone can do online business. I believe that you don’t need to spend a lot of money in order to build a successful business. I believe that success comes from serving first, and earning second. 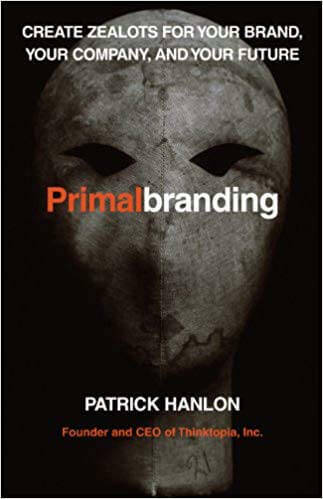 If you are trying to build a successful brand, no matter where your platform is or what your product or service is, you should read Primal Branding. And, fun fact: this is a great complementary book to one that I’ll be releasing later this year. More on that later! Thanks so much for being a part of the SPI Book Club. I hope you find the book as fascinating and useful as I did! Patrick Hanlon is the CEO and founder of THINKTOPIA, an organization that works with Fortune 100 companies to strengthen their brand and drive strategic innovation. He is a creative director, writer, and speaker dedicated to people-first branding. Welcome to the official SPI Library! If you missed a past issue of the Book Club newsletter, you’ll find it here—just without any special book promotions or giveaway contents. For those, you’ll need to subscribe to the Book Club newsletter by email. Enjoy these reads. Each one has made a profound difference in my business and life. I hope they help you just as much, if not more! 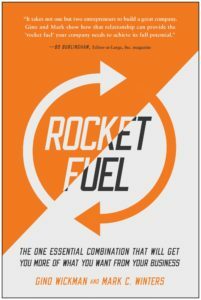 Rocket Fuel is mandatory reading for any entrepreneur who has already started their business, over the exciting DIY period, and is maybe beginning to feel a little pain and overwhelm. The essential combination that Gino and Mark are talking about here is that of a Visionary (most of us entrepreneurs), and that of an Integrator (also known as an OBM, and online business manager, or even a project manager). 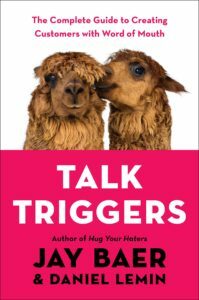 Jay’s latest book, Talk Triggers, flips the switch. Instead of haters, he’s focusing on the fans—the ones who will talk endlessly about you and your brand—and how to make that happen for your business. Even though my team and I practice a lot of the principles in Profit First already, reading it was a good reminder as to why we practice those things, such as building a business that actually makes profit the priority rather than paying for expenses first. 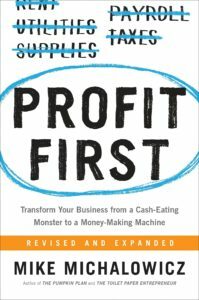 Better yet, this book was a reminder for me to pass along this methodology of building a business to you, and the money management strategies that go along with it, so that you don’t create the “Cash-Eating Monster” many businesses fail to realize they are feeding.